Hidden in a new bill that will ban airlines from dragging passengers off overbooked airplanes is a potential threat to private drones. The Senate today passed the FAA Reauthorization Act, a bipartisan bill that extends funding for the Federal Aviation Administration (FAA) and addresses some of consumers’ major gripes about air travel. But the ACLU and the Electronic Frontier Foundation say they are alarmed about a clause in the bill that has received little attention; a measure giving the federal government the authority to “disrupt” and “seize or otherwise confiscate” any drone deemed a “credible threat” without a warrant. 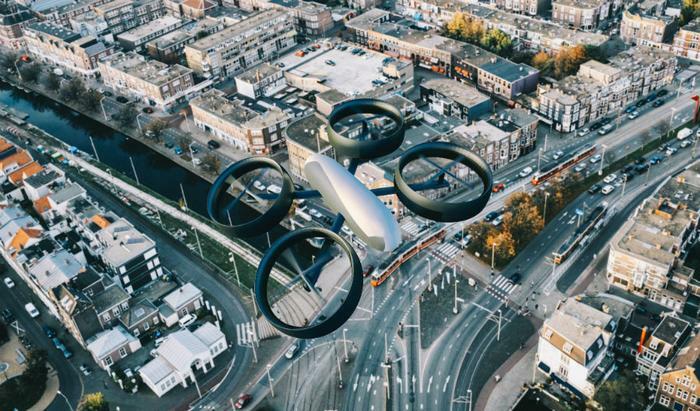 “These provisions give the government virtually carte blanche to surveil, seize, or even shoot a drone out of the sky — whether owned by journalists or commercial entities — with no oversight or due process,” an ACLU spokesman told TechCrunch. Many journalists or citizen activists use drones to document scenes where physical access is not possible. Drone photographers were instrumental in challenging the police narrative at the Standing Rock Sioux protest against the Dakota Access Pipeline two years ago, for instance, documenting what they alleged was a violent, aggressive response from the Morton County Sheriff’s department and other police agencies. Some footage captured by the drone photographers who were there appeared to show law enforcement officers shooting at the camera. The FAA said at the time they were investigating an instance in which an officer allegedly shot down a drone with a bean bag. Currently, shooting at drones is considered a federal crime because they are considered aircraft. Law enforcement has “some latitude” to shoot at drones if they are acting out of concern for their safety, a spokesman from the FAA had told ConsumerAffairs ,”but all such incidents are still subject to investigation." The new legislation, civil liberties groups warn, would give federal authorities ample latitude to do as they please when they encounter a drone. “If lawmakers want to give the government the power to hack or destroy private drones, then Congress and the public should have the opportunity to debate how best to provide adequate oversight and limit those powers to protect our right to use drones for journalism, activism, and recreation,” the Electronic Frontier Foundation said.